A 2011 chemistry paper required corrections so extensive that the author published the changes as a second, longer paper. 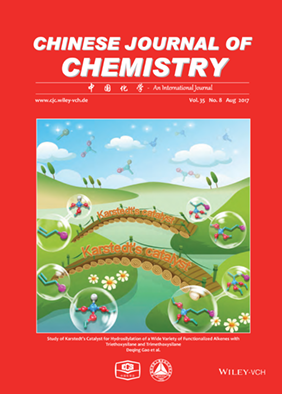 Both papers, published in the Chinese Journal of Chemistry, described the synthesis of a protein molecule with potential therapeutic applications in cancer. But when the paper’s corresponding author Yikang Wu tried to continue the work, he discovered that a substantial part of the 2011 study was incorrect. The original paper is not marked with any editor’s note, even though the new paper — which is three pages longer than the 2011 version — acknowledges it is a “partial retraction/correction of previous results.” The new paper does appear in the list of “related content” for the 2011 article. A Cornell food researcher who has pledged to re-analyze his papers following heavy criticism of his work has issued a major correction to a 2005 paper. The paper, about whether changing the name of food influences its taste, was not among the batch of papers initially flagged by critics last year. Since then, researchers have raised additional questions about Wansink’s work; one of his papers was retracted in April. That same month, an internal review by Cornell University concluded that Wansink made numerous mistakes, but did not commit misconduct. 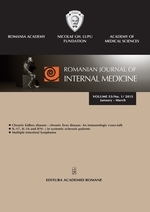 A researcher in Greece has issued extensive — what we sometimes call “mega” — corrections to two 2016 papers published in a medical journal in Romania. The first author — Alexandra Kalogeraki, a pathology researcher at the University of Crete in Greece — retracted two reviews from the same journal last year for plagiarism. The newest notices remove authors and correct, add, or remove text, often without providing an explicit reason for the change. The journal told us Kalogeraki initially asked to retract the newly corrected papers, but the editors didn’t believe that the papers warranted the harsher measure, as they’d run a plagiarism scan and conducted peer review of the two papers and did not find any issues. However, the University of Crete is currently investigating allegations of plagiarism in two of Kalogeraki’s other papers, which have already been retracted by the same journal. In 2011, authors of a Nature letter caught some flak for issuing a lengthy correction to a neuroscience paper that had raised eyebrows within days of publication — including some suggestions it should be retracted. The correction notice, published months after the original letter, cited errors in image choice and labeling, but asserted the conclusions remained valid. Now, those conclusions appear up for debate. In a recent Nature Brief Communications Arising (BCA) article, a team that raised concerns about the paper five years ago says they are unable to reproduce the results. But the authors of the original paper aren’t convinced: They argue that the BCA fails to cite important evidence, has a “complete absence or low quality of analysis,” and the scientists disregard some of their data. 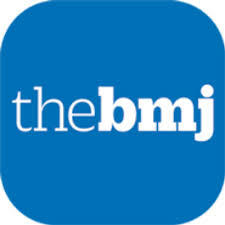 The BMJ has released a detailed correction to a much-debated article critiquing the expert report underlying the U.S. dietary guidelines. After the article was published in 2015, the Center for Science in the Public Interest (CSPI) organized a letter signed by more than 100 researchers, urging the publication to retract the article. Today, the journal said it found “no grounds” to do so. However, in a press release accompanying the announcement of the correction, the BMJ notes that some aspects of the CSPI’s criticisms were merited. A researcher charged with embezzlement — and now the subject of a multi-million dollar lawsuit — has earned another correction, again citing “unreliable” data. But this doesn’t appear to be a run-of-the-mill correction notice. Firstly, it affects a paper co-authored by Erin Potts-Kant and William Foster, former Duke employees now being sued (along with Duke) for including fraudulent data in $200 million worth of federal grants. Secondly, the notice in the Journal of Biological Chemistry is four paragraphs long, and includes six figures — it would normally be considered a “mega-correction.” But lastly, even though the notice is labeled a “correction,” it’s not immediately apparent which aspects of the paper are being changed. Researchers whose former colleague was recently reprimanded by the U.S. Office of Research Integrity (ORI) have retracted a biology paper for duplication. The retraction includes some familiar names: The last author Steven Grant, senior author of the newly retracted study, is also the last author of 11 papers flagged in a report by the ORI in December, 2015. That report focused on Girija Dasmahapatra, a co-author of the 11 studies who was also based at at Virginia Commonwealth University (VCU). Dasmahapatra left VCU in 2015, and is not listed on the latest retraction. The retracted paper, published in The Journal of Biological Chemistry (JBC), was also co-authored by Paul Dent, a biochemist at the VCU, who we mentioned last year when he offered to retract another paper in Molecular Pharmacology after concerns arose on PubPeer. The journal has instead issued a lengthy correction (what we call a “mega-correction”). Plant biologists have issued a major correction (what we dub “mega“) after realizing a significant mistake in their experiment. 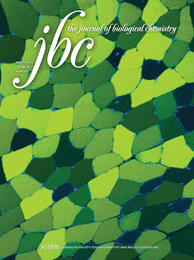 The 2014 paper shows that a protein known as RAP plays a key role in chloroplast biogenesis. 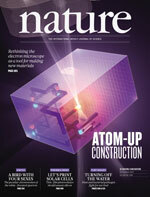 But as Ludwig Maximilians University-based authors Alexandra-Viola Bohne and Laura Kleinknecht continued to do their research, they found an error in the design of primers they used to synthesize the RNA for their experiments — and told us they are concerned other researchers could run into the same problem.